I’m sorry I sound so sick, but this is a lot better than earlier in the week. I went to my weekly doctor check up for the baby and found out I had a respiratory infection. After the check up, we headed over to CVS to pick up my prescription. 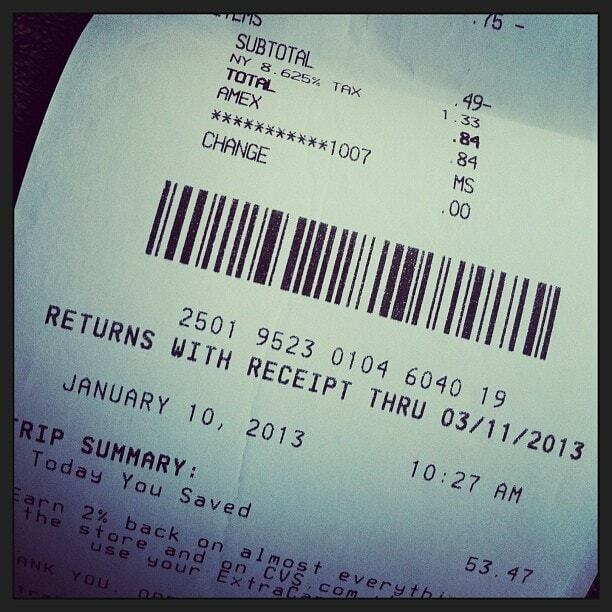 It was a 10 minutes wait – so I couponed a bit. Here’s how I did it. I do want to remind you that I had a bunch of ECBs from the week before that I applied to this order. Man I love CVS. Check out Living Rich with Coupons to see where to get all the Internet coupons. Previous Post: « Yes Our Christmas Decorations Are Still Up … And I Can Barely Stand It! I hope you feel better fast. The flu is flying around in every state – it’s so crazy!